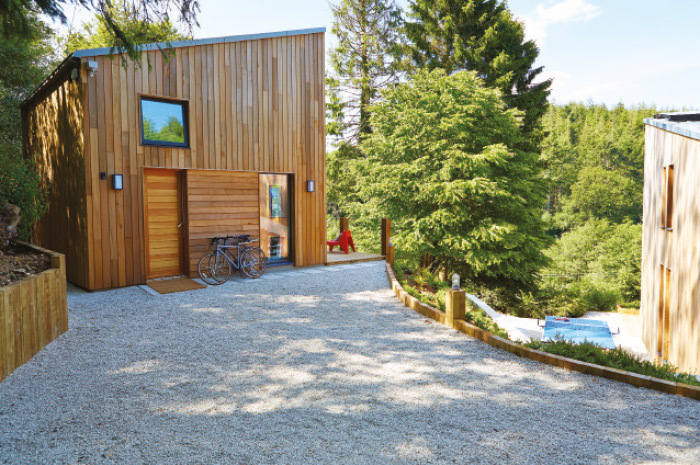 When architects Mark Camillin and Liam Denny found a property overlooking a sloping forest of fir trees, they couldn’t help but fall in love with the place and its spectacular views. Located near Lyme Regis on the Devon/Dorset border – and inside a designated Area of Natural Beauty – the couple knew that it would be the ideal spot for a contemporary residential development. The problem was that the property itself – a rundown 1960s bungalow – was unsuitable for conversion. So instead Mark and Liam set about planning a complete demolition and rebuild. 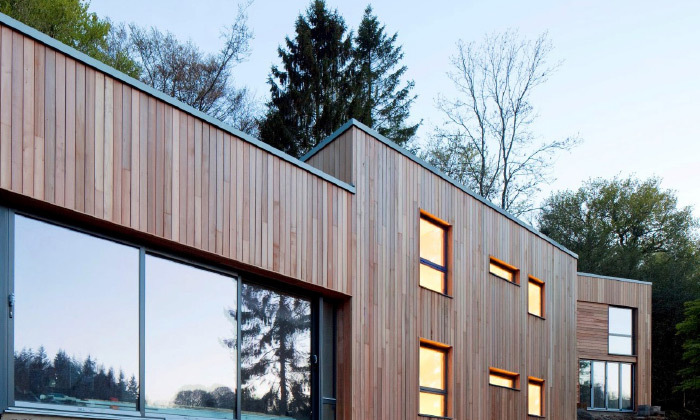 Just seven months later, they had finished Fir View Devon, a stunning modern timber frame home that has since exhibited at two Grand Designs Live shows and been given a six-page feature in Homebuilding and Renovations magazine. "We thought we'd use oak cladding, but our builder said it would slow us down as it's too tough to quickly nail to the frame. We found out that western red cedar was a better option because it is easy to fix, and it is also cheaper than oak." The final build came in within budget at £237,000 and Fir View Devon is now being successfully marketed as a luxury holiday eco-home. 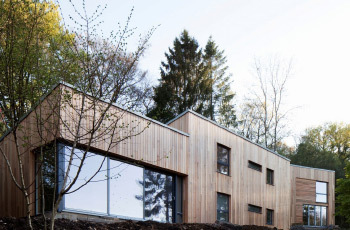 With the timber cladding ensuring that the property is in sympathy with its environment, local planners have stated that they would like more developments in the Area of Outstanding Natural Beauty to follow its style. "I still can't believe we've built such a lovely house on such a low budget. But even if we'd had £1million, I don't know that we would have designed it any differently. I hope that we can work with Vastern timber again on future projects." Fir View uses air dried Canadian western red cedar, dimensions 20 x 145mm. The profile was halflap code VHL4. Vastern Timber supplied 1080 metres. 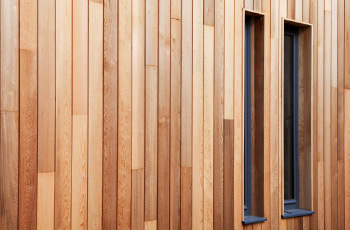 More information about cedar cladding is available on our website, including a useful video explaining the differences between Canadian and British red cedar.